Your pharmacy called and it’s time for the best states for pharmacists. My pharmacy calls me every day. Like, as in, nearly every day there is an automated phone call from Duane Reade to let me know that my prescription is ready. I appreciate it—actually as I write this I realize I need to pick it up. Luckily they will call me three more times today to remind me about it. You’d think my prescription was for amnesia medicine. It’s not. I remember my pharmacy and my prescriptions and, especially, my pharmacist. Her name is Lauren and she is awesome. I ask her so many stupid questions. She answers them with such authority and aplomb. Okay, maybe a lot of the questions are some version of “can I drink booze while taking this?” But Lauren always gives me the scoop and I appreciate that about her. If you’re a pharmacist you may be wondering where the best place to live would be while you make your pharmaceutical pursuits. This is especially true if you are studying to become a pharmacist and want to plan out where the best state is for you to move after you’ve completed your training. Well good news, we, like Lauren, have the scoop. You might also be interested in the 9 Highest Paying Countries for Pharmacists. Being a pharmacist isn’t easy. You need to make sure you tell all of the customers how to take the medication safely. Also, pharmacists do health and wellness screening and provide advice for healthier lifestyles. We decided to create this list because every person who worked so hard to become the best in its profession and put so much time and effort wants that time to pay off. We collected statistics from Bureau of Labor Statistics as our starting point for how much is the average annual wage and average hourly wage for pharmacists as well as the number of employees and then collected data from MERIC to see what is the living cost index in each state. 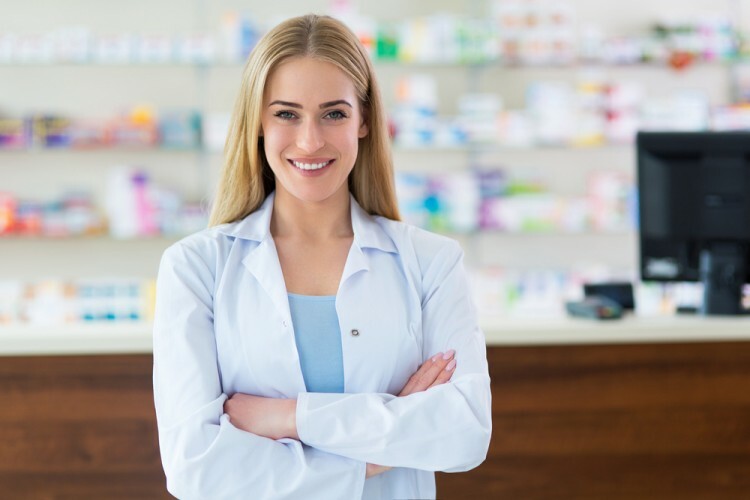 We took the hourly wage for each state and the cost of living index in the same state and we found the best states for pharmacists.